It's a fact. Most of us guys want to lose some belly fat and live a bit healthier. Should you do long cardio workouts, lift heavy weights, do High Intensity Interval Training (HIIT), or do some combination of the above? I totally get it! Conflicting advice and misinformation is everywhere. Because this “workout stuff” can be confusing, our men's health expert team finally sat down to create this new guide that will show you exactly how you should be working out to see fast results. Specifically, in this article, you will discover the 5 absolute worst workout myths for men and how they are preventing you from making progress. And (more importantly) we'll also show you what you should be doing instead. Let's get started! Quickly: Before we dive into this guide, if this is your first time visitng The Fit Father Project, let me quickly introduce ourselves and answer why you should even listen to us in the first place. Our team at the Fit Father Project has been through all the fitness ruts you can think, in our own training and in a combined 30+ years of experience of training men in their 40s, 50s, & 60s. We're incredibly proud of the fact that we've helped over 35,000 fathers lose unwanted belly fat and get healthier, fitter and stronger for themselves & their families. For years, personal trainers have preached that long cardio workouts on the treadmill, bike or elliptical were the best way to burn fat and lose weight. They argued that long cardio workouts put your body into a prime “fat burning zone,” and that easy cardio workouts were they way to get there. Each pound of fat that you'd like to burn off contains about 3,500 calories. Each minute you spend doing low-intensity cardio burns about 6 to 8 calories. That means, even if you spent an entire 90-minutes on a treadmill, you'd only burn 630 calories…. That's less than 1/5 of a pound of fat. Now, if you're trying to lose 30+ pounds of fat you'd like to lose like most guys we help with our Fit Father 30-Day Fat Loss Program, this “cardio approach” would take over 5 hours per week to burn 1 measly pound of fat. …and that's assuming that you're eating properly and not sabotaging your “calories burned” from exercise. Say goodbye to long grueling low-intensity cardio workouts. Say hello time-efficient, metabolism boosting High-Intensity Interval Training (HIIT) workouts. HIIT helps you burn fat through intervals of 30 – 60 seconds of maximum intensity effort, followed by 30 – 60 seconds of lower intensity exercise to recover. And HIIT is research proven to be more effective for fat burning than long low-intensity cardio workouts. In fact, HIIT training is 1 of the 3 core types of workouts we use cover in our Free 24-Minute Fat Burning Workout For Busy Men, which also includes some simple strength training to pack on muscle while you're burning fat. Here's the best part: a single 20-minute HIIT session can boost your metabolism for up to 48-hours! To get free instant access our 24-Minute HIIT workout that combines strength training and cardio, click here to download the workout 100% Free. We'll send it straight to your email. If you're like most guys we help, you want to get rid of your belly fat and see some definition in your abs. Many guys have been led to (very mistakenly) believe that doing “crunches” and other “ab exercises” will help get rid of belly fat. 1) Dial in your eating using something like our Free 1-Day Fat Loss Meal Plan. 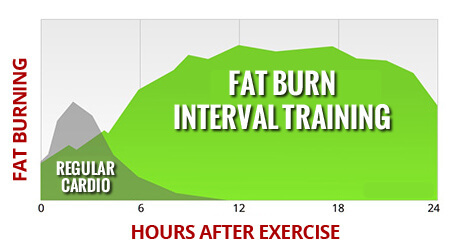 2) Start time-efficient fat burning workouts like our Free 24-Min Workout. Without those two key pillars in place, no amount of crunching will help you get six-pack abs. That's the honest truth. You need the eating & exercise fundamentals in place before any “ab exercise” will help you. Also, modern science has proven that losing fat from one area of your body, like your belly, is impossible. This is a myth called “spot reduction,” which is the myth that you can do exercises for one particular body part (like crunches for abs) and get rid of body fat in that area. It’s 100% possible to have great six-pack abs well into your 40s, 50s, & 60s. We help hundreds of guys over 40 get six-packs every year with our Fit Father 30-Day Program. Again, to accomplish this, you'll need the proper meal plan, workouts, motivation… and some supplemental ab exercises. If you would like to see our proven plan for men over 40 to get rid of stubborn belly fat, click here to read our Fit Father Program Overview Letter, which shows you: the meal plan, workout routine, grocery shopping lists and much more that will help you achieve your body transformation goals. The bodybuilding split routine was developed as a strategy to hit each muscle group hard with varied exercises, then let those muscles rest the for a long time (usually 5-6 days) before slamming the muscle group again. However, new research shows that men over 40 who want to slim down and build lean muscle should NOT use this “split routine” training method because this approach contains too many sets per body-part and can lead to over-training. Instead of splitting up all your muscle groups into individual workouts and working out about 5 days a week, it's much smarter to do full body strength training workouts 2 to 3 times per week where you're exercising all your major muscle groups (chest, back, legs, shoulders, & arms) every session. See, as we age, our bodies become less able to recover from exercise. So it no longer makes sense to exhaust our muscles and do 20+ sets of any body-part during a workout. For older guys, it becomes much more effective to spread those 20+ sets out across 3 workouts, so you're giving your body more “even” muscle building stimulation spaced throughout the week. If muscle building is your main goal right now, I recommend you watch our “5 Best Muscle Building Exercises For Men 40+ Video” right here. In that video, I'll also show you how to use these 5 exercises in a proper training plan. The best way to work out for fat loss is to build muscle throughout the entire week. We can do this by integrating sets that are spaced more evenly to build muscle and aid recovery. 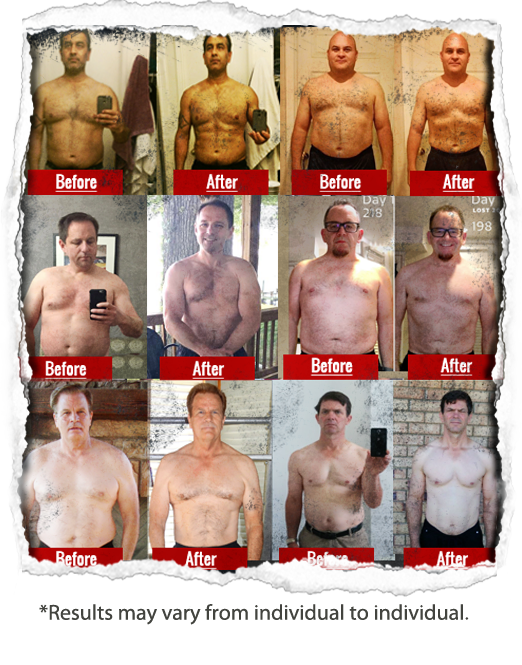 For the exact workouts we use to help busy men over 40 shred 20+lbs of fat, read our Fit Father 30-Day Program Overview Letter for more information. Have you ever had this thought before…? The idea that you can “out-exercise” a bad diet is a very common myth that we help guys fix here at the Fit Father Project. Think about things this way. If you eat 1000 calories from junk food after burning only 500 calories during your workout, you'll be GAINING weight, not losing any of it. Sound familiar? This happens to so many guys, and it's time to lay this myth to rest. Don't worry. We're not advocating that you remove all the food you enjoy from your diet. 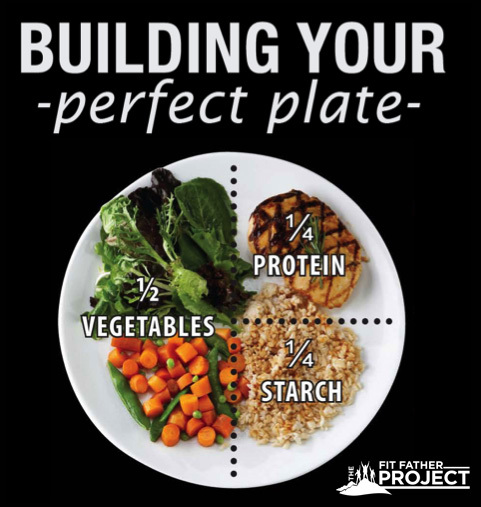 Here at the Fit Father Project, we use a concept called Building Perfect Plates that we cover in our Free 1-Day Meal Plan that shows you how to portion out our food for ideal fat burning meals – while still incorporating delicious foods you love. Pretty simple right? As we show you inside our Free 1-Day Meal Plan, there are literally hundreds of different food combinations you can plug into this equation, ensuring that your meals are never boring! And when you follow these “Perfect Plate” guidelines, most of your meals will contain (at most) 600 calories, making them ideal for fat loss. This is our final myth. In fact, the exact opposite is true. Weight training & muscle building is essential for older guys who want to lose weight and belly fat because muscle is your body's metabolic fat-burning engine. See, as us guys get older, our metabolism naturally slows and our testosterone levels start to drop. 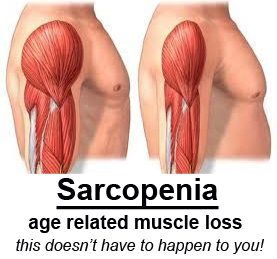 We begin to lose muscle mass and our ability to burn off unwanted fat decreases as a result. The best thing you can do to counteract a slowing metabolism is to add weight training to your exercise plan to speed things up. To get into good shape and stay as healthy as we can for longer, men in their 40s, 50s, and 60s need to regularly train with weights or resistance to get the benefit of these 3 key effects. I highly recommend you get a free copy of our 24-Minute Fat Burning Workout that shows you the best weight training for fat burning. All that's required is a pair of dumbbells, 5 feet of floor space, & 1/2 hour. If you're trying to lose weight, there's no time like the present to achieve your goals. And if you'd like to reach your goals as quickly, safely, and sustainably as possible, we can help you. Our team of men's health experts here at The Fit Father Project has helped more than 35,000 fathers lose fat & finally get healthy for their families. We’re ready to help you too. Download your free copy of our 24-Minute Workout and get our free workout course too. 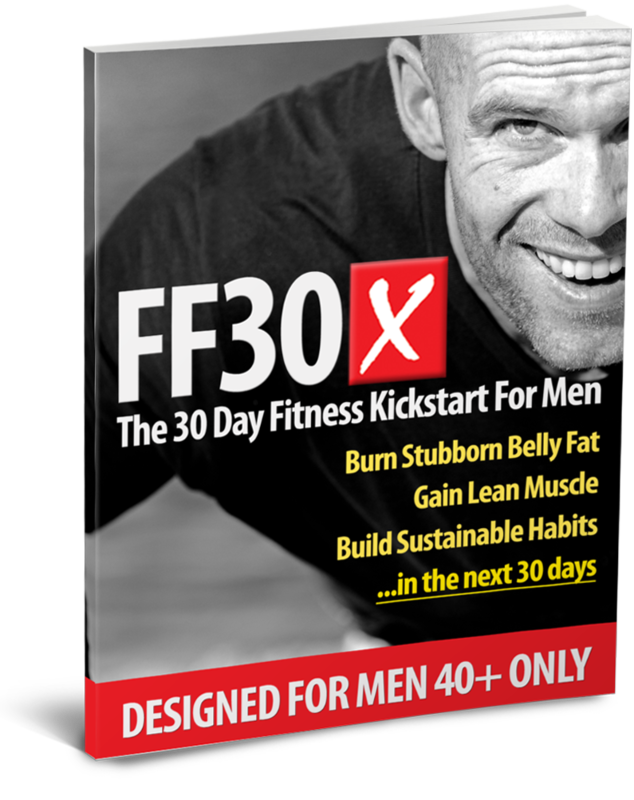 To jumpstart your results, check out our proven Fit Father 30-Day Program (FF30X). It's our best-selling program that's helped those thousands of fathers lose the weight for good. I hope you enjoyed this article. 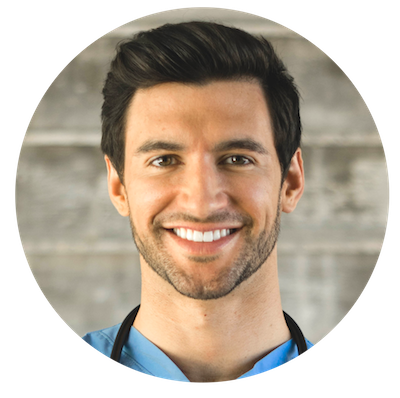 I can't wait to help you get health goals.